This 5-day guided road cycling holiday in Northern Italian Lakesis real escape and riding on few-traffic roads for intermediate cyclists, who love to climb. This cycling holiday based in one hotel showcases the area from the comfort of our lakeside hotel at Colmegna. Lake Maggiore is Italy’s second largest lake and set against the resplendent backdrop of the Pre-Alps and of the Monte Rosa Massif. Lake Maggiore extends from the Italian-speaking part of Switzerland far into the Italian regions of Piedmont and Lombardy . There are plenty of routes for road cycling around Lake Maggiore and its mountains. And with the lake road typically wider than around Lake Como, and quieter than Lake Garda. It’s a more popular spot amongst the local road cyclists: a perfect country, in other words, for bike riding. We have designed our cycling holiday around Lake Maggiore to be enjoyable, funny and flexible. The accommodation will be as delightful as the region’s magnificent scenery. Non-riding partners are welcomed along to share the experience with you. Have easy access to eight lakes through valleys, narrow climbs, fast downhills without forgetting to enjoy what our area has to offer: age-old villas, parks, churches and hermitages which were built from Sixteenth Century to the Nineteenth Century, exibitions, history, art, culture. In particular we suggest Villa Panza, Villa della Porta Bozzolo, Hermitage of Santa Caterina del Sasso, Sacro Monte of Varese (historic site on the UNESCO Worldwide Heritage List). Other dates are possible and we’ll create a departure especially for you if there is a minimum number of 4 guests and a maximum of 12 guests. Each day there are two or more ride options available each varying in distance and difficulty. Anyway the description is a draft. 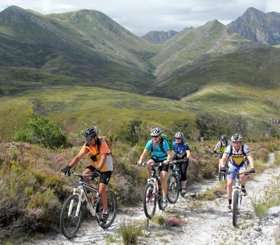 This is a general program to demonstrate how your cycling holiday is structured. If you would prefer your rides include more distance, less distance or different climbs then please contact us, we are willing to provide you with rides that meets all your needs. We can change places, distances and climbs if all the people on the same tour agree. Please note that all routes are subject to change depending on local conditions. We generally meet at the bikes around 8.00 for a 8.30 ride start. A coffee stop and a light lunch stop on the way are suggested during the daily ride. We go back to the hotel in the afternoon (14.00/15.00), where you can enjoy a post ride lunch. The rest of the day is relax time. After your arrival in our hotel there will be a pre-tour briefing. Yet climbing in Val Veddasca close to Lake Maggiore, as the route heads to Alpe Neggia. It’s a 22 km climb (elevation gain 1,200 mt – 3,940 ft). The last 2 km are harder. From Alpe Neggia a view opens over the the town of Locarno, the Lake Maggiore and the Alps in the distance. The descent requires your concentration. You can tackle, the extra Passo Forcora climb in the challenging route if you want. Some flat lake-side riding, good climbing, thrilling descent and the view across Lake Maggiore. Today climbs, descents and views over the Lake Maggiore and over the Alps. Your morning is spent on the foothills and tidy back roads close to Lake Maggiore. The climbs aren’t long but they are one after the other in succession along small medioeval villages. You tackle the Sant’Antonio climb, the San Michele climb, the Montegrino climb and Sette Termini climb. Optional extra climbs for those looking for a challenge: Passo del Cuvignone and Arcumeggia climb. The main route is a flat ride around the Northern part of Lake Maggiore. You ride through the pedestrian area of the cities of Locarno and Ascona, you cross twice the border between Italy and Switzerland. You came back to hotel by a 20minute ferry ride. We suggest to make a stop at the lakeside villages of Cannero and Cannobio. We planed to climb up to the Alpe Trarego in the challenging route. The Alpe Trarego climb is a back road riding through dense woods and arriving on a natural balcony that offers beautiful views of Lake Maggiore.